Jay-Z will launch his new YouTube channel Saturday night with a live stream of the last concert of his eight-show run at Barclays Center in Brooklyn, USA Today reports. The rapper's Life + Times channel, an offshoot of his pop-culture site by the same name, comes as part of a push for original programming by YouTube, which is owned by Google. 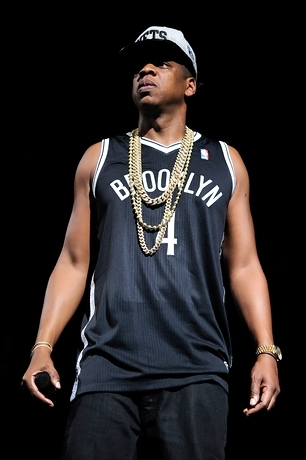 It's the latest brand expansion for Jay-Z, who co-owns the 40/40 Club in Manhattan, owns a minority share in the Brooklyn Nets basketball team, has a stake in the Rocawear clothing line, serves as co-brand director for Budweiser Select and was executive producer of the new video game NBA 2K13. "The site really is a way for Jay to showcase the breadth of his interests, from fashion, architecture, music, style, food, consumables, electronics, and so forth," said Michael Hirschorn, the co-founder and chief creative officer of IconicTV. "We're approaching this channel and programming it, not at the level of an MTV or a BET – at least, not yet – but really programming it as a real channel that will have regular content, some featuring him, some under his creative direction, but that when he wants to reach his audience, he's no longer going to have to go through an intermediary to get to that audience."